Olympic fans are flocking to the Bermuda Broadcasting Company’s free Olympic app, with thousands of people watching coverage of the Games via the app, which offers live video coverage across 13 channels. Tens of thousands of people have taken advantage of the technology, with some 20,000 people using the app to watch the opening weekend alone, with viewership having continued as the Games progress. The BBC said that as of last night some two million megabytes of high definition video data had been consumed via the app. “We are so thrilled at its popularity and we just hope everyone in Bermuda gets a chance to use it and support our local athletes before the Olympics end next Sunday,” Mr Singleton said. 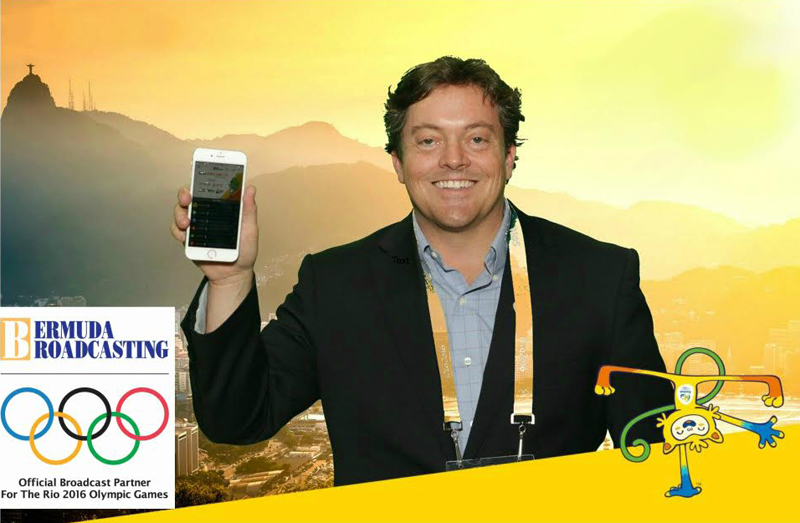 The BBC previously said, “Anyone who downloads our free iOS or Android app and watches just one hour of Olympic coverage before the closing ceremonies on August 21st will be automatically entered to win new phones.” You can download the app for free on the Apple Store and Google Store. Bermuda is being represented by an 8-strong team in five different sports, with our team including rower Shelley Pearson, sprinter Tre Houston, long jumper Tyrone Smith, swimmers Julian Fletcher and Rebecca Heyliger, sailors Cameron Pimentel and Ceci Wollmann, and triathlete Flora Duffy. It is the best way to watch the Olympics for sure. Hopefully when future events come on they use the same technology to bring it to us here in Bermuda. How about we get to watch FREE football since Cablevision messed up again! When is your press release coming out even though footballs started already SMFH!! NOW WE HAVE NO CHANNELS TO WATCH FOOTBALL besides FLOW WTFFFFFFFFFFFF!